An Evening with Jiggy & Joe is a special one night only event at the West Side Comedy Club in New York City. 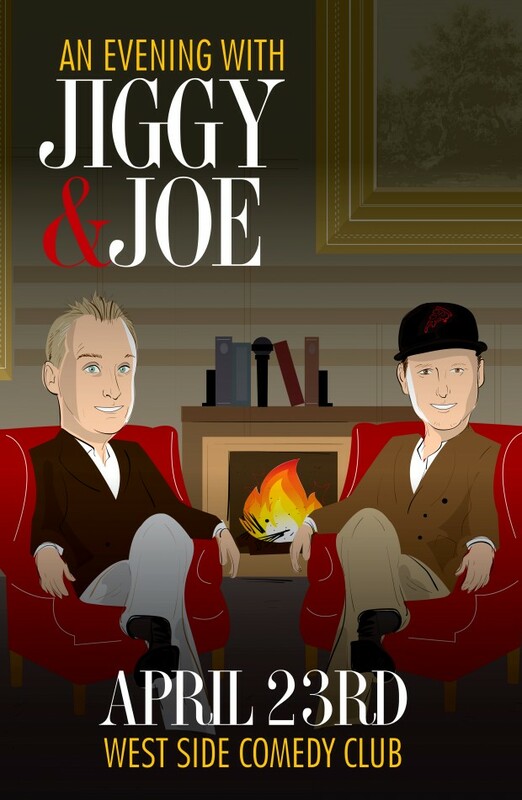 Join Jiggy & Joe as they discuss life, romance and most importantly - a live reading of the terrible novel Jiggy when he was 7 years old. You will be able to purchase a maximum of (4) tickets for this event. Per club rules this event is strictly ages 18 and over, there is no video or photography allowed of ANY kind and there is a 2 drink (or item) minimum. Limited Edition autographed posters will be available night of show for $30 while supplies last. A. 30 minutes before show time. A. The show is in a basement with stairs access. A. First come, first seated.